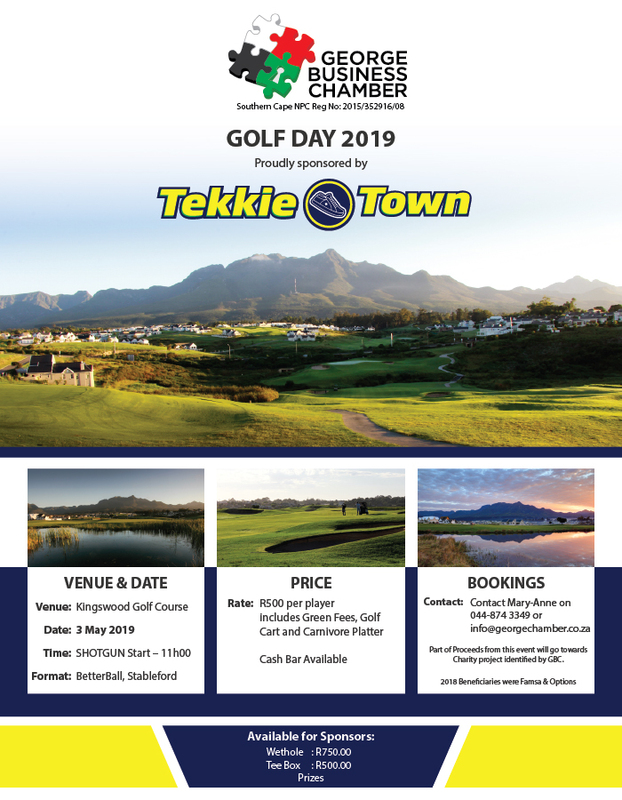 Please support the George Business Chamber’s Annual Golf Day which is being held at Kingswood Golf Course on the 3rd May 2019 and is being Sponsored by Tekkie Town (see attached and email below). Your support in the past has aided us in providing assistance to various Charities. Last year’s beneficiaries were Famsa and Options Care Centre. Thank You for contributions!! We look forward to receiving your golf entries.